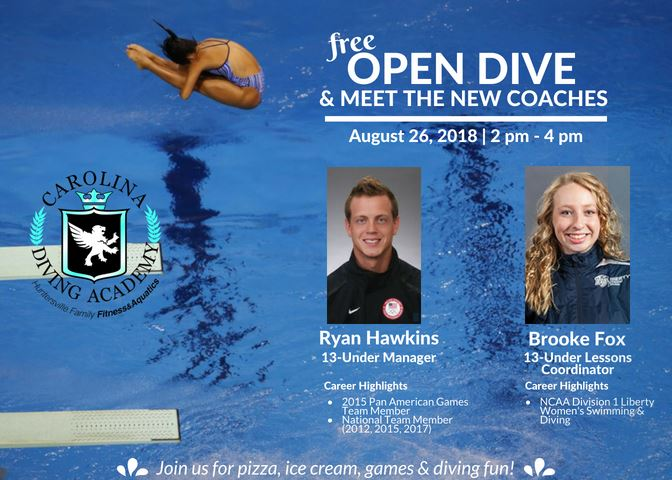 Home Events	Carolina Diving Academy Hosting a FREE Open Dive this Sunday! Carolina Diving Academy Hosting a FREE Open Dive this Sunday! Our Smarty Pick of the weekend is on Sunday where our friends at Carolina Diving Academy in Huntersville are hosting a FREE Open Dive on Sunday for anyone and everyone just for F-U-N! And for y’all to meet their amazing new coaches and pizza, ice cream games, and of course, diving! THERE IS NO DIVING GENE. Some people learn more quickly, but everyone can learn. 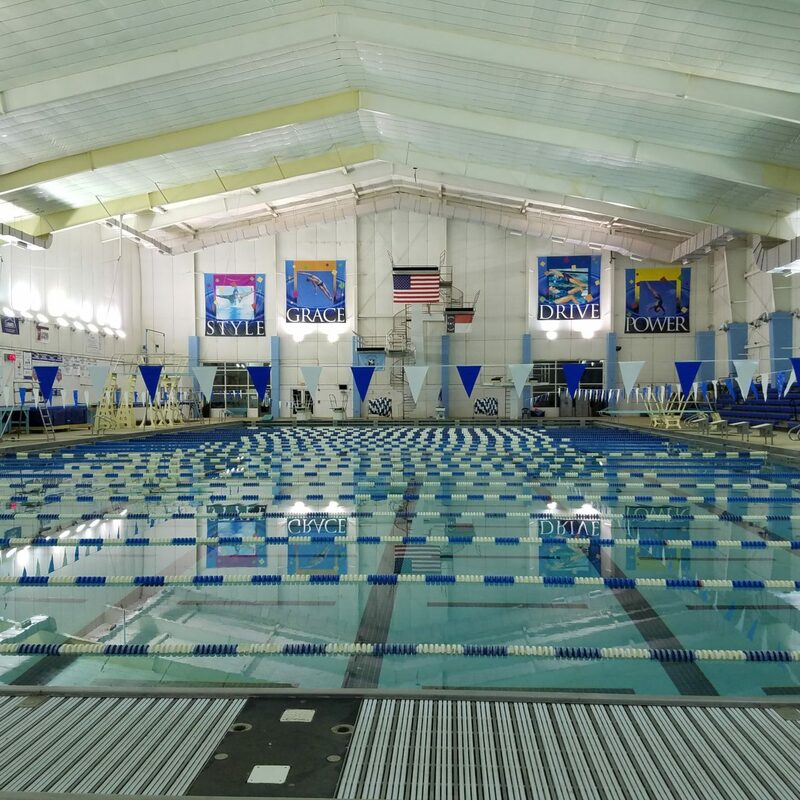 At Carolina Diving Academy, they have targeted their progressions and training cycles to enable everyone to learn as quickly as they are able. The Carolina Diving Academy is a comprehensive diving program that accommodates divers of all interest and skill levels. They have divers ages 5 to 62 years old, some who have just started and others who are national finalists or Olympic Trials competitors. While the Elite team supports national and international aspirations, the lessons program encourages the exploration of sport just for the fun of it and stretches from diveKIDS for those 5-7 years old to masters practices for those young at heart but up to 90 and more, chronologically.